Yesterday I had a decision to make. I could either visit Den Haag or go to Leiden. I chose to go to Leiden. I’d done my usual “where the heck should I go today?” online checks and quite fancied the idea of doing the Leiden Loop. Leiden is an old and very beautiful city. It is home to the oldest University in the Netherlands and there is no shortage of things to see and do. It boasts more canals than any other city in the country, apart from Amsterdam, and Museum lovers are spoiled for choice. I picked up a free city guide from the tourist information office and was surprised to see it contained information about more than a dozen museums, including the Naturalis Biodiversity Centre (a great place for dinosaur lovers) and Hortus Botanicus (for people who appreciate plants and all things botanical). I didn’t visit any of them. It was a lovely warm day and all I was interested in was doing the Leiden Loop. 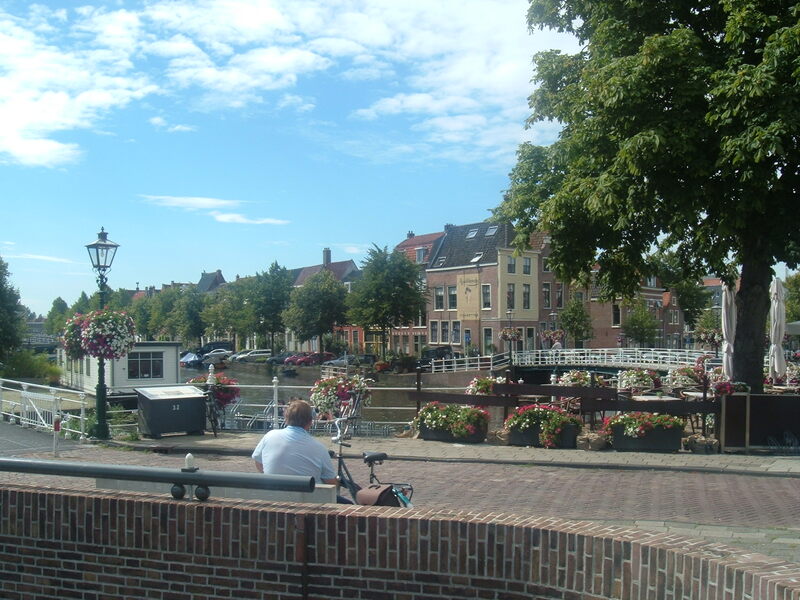 There are so many sights to see in Leiden it would be easy to miss something interesting. The Leiden Loop is a circuit that encompasses 30 of the most important tourist attractions, including Rembrantplein (birthplace of the famous painter, Rembrandt van Rijn) and the Hartebrugkerk—a church built in the “water authority” style. As you can see from the picture above, Hartebrugkerk is pretty unusual-looking for a place of worship and there a good explanation for that. 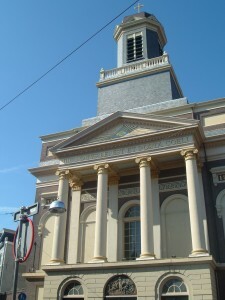 Back in the early 1800s the churches had very little money, so the state sought out reliable experts and decided engineers from the Water Authority were best qualified to carry out the construction. It’s been nearly 200 years and the church is still standing, so the Water Authority “experts” certainly did a good job, but as far as churches go, Hartebrugkerk is . . . a little different, but it isn’t unique. 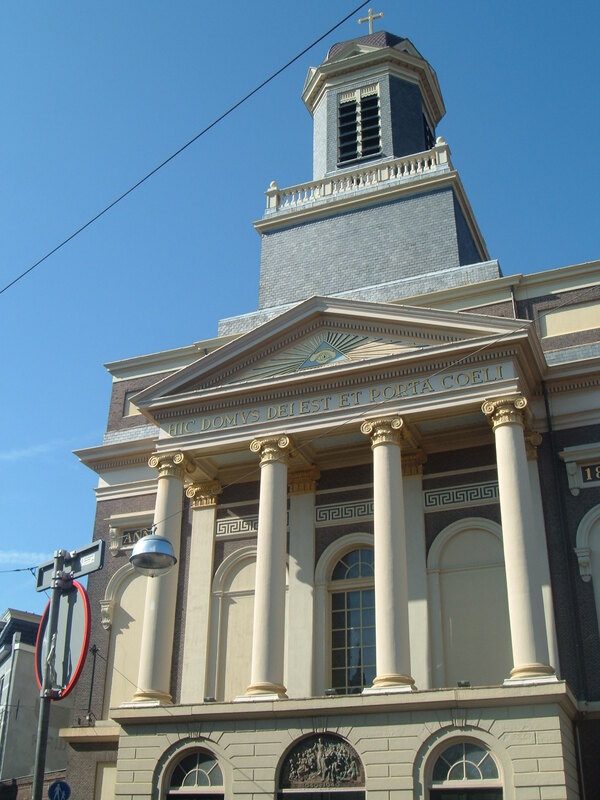 Water Authority style churches can be found in a number of other Dutch cities, including Amsterdam. 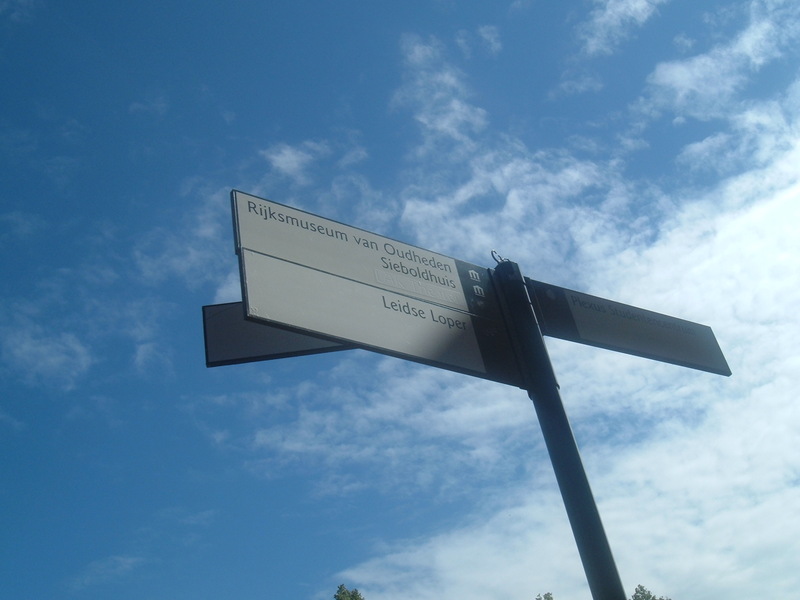 There are signposts all over the town that mark the route for the Leiden Loop, but you need someone or something to guide you so you know what you are looking for and what is so special about it. I purchased a guide from the tourist information office—a 30-page, glossy booklet that contains a map and information about most of the points of interest. The information is provided in Dutch, English, and German and it costs a little under €5, so it won’t break the bank. However, if you’ve got a smartphone, and are paying for the data anyway, the Leiden Loop mobile website also provides a map, along with pictures and audio commentaries. I own a smartphone, but it’s still fitted with a UK SIM card, and I’m not prepared to pay the roaming data charges, so I keep it set to aeroplane mode and only use it when a WI-FI connection is available. I was happy with the booklet though, saw every step along the way, and always found plenty of friendly people to give me directions when I occasionally got lost. Yep! Even with the map and all those signposts, I still manged to screw-up once or twice. Tsssk! Who cares, I saw everything I wanted to see and even managed to fit in some time for a beer or two.